Home Investing Collectibles Market | Long Term Investment Strategy Or To High Risk? Collectibles Market | Long Term Investment Strategy Or To High Risk? Perhaps it’s the popularity of television shows such as “Pawn Stars,” but more and more people are viewing collecting as an easy, fun and lucrative way to invest. 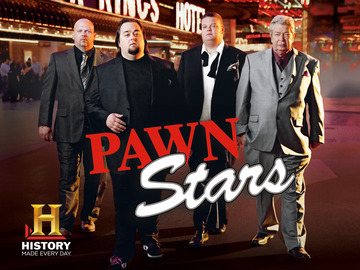 “Pawn Stars” chronicles the ups and downs of a family that owns a large shop in Las Vegas. People who bought an old gun at a flea market for $10 routinely walk into the store and demand 20 times their purchase price to sell. The process could not appear to be easier: hunt around for bargains in the collectibles market and then re-sell them for monstrous profits. On “Pawn Stars,” people rarely get what they sought for their precious artifact, but they almost always make a handsome profit. Collecting regularly grows in popularity whenever the stock market is unstable and minimally profitable. There is always an upsurge in hard assets such as gold, silver and collectibles at such times. People believe that the collectible market prices will rise more quickly than those of stocks and bonds in a stagnant market. In some cases, they are correct, but be aware that hundreds of thousands, if not millions, of people have the same idea that you do: scour flea markets in search of treasure every weekend, then re-sell to a true collector online. The collectibles market is not regulated, so transaction costs can soar, especially as collectibles are sold at auction, which they often are. If a collectible owner cannot get what s/he is seeking online, many turn to public auctions, which can lead to a significant decrease in return as the auction house takes up to a 25% cut. Another issue in the collectibles market is its volatility and opaque nature. Unlike the stock market, which divulges plenty of public information about what people are paying for certain shares, the collectibles market is much more private and shady, with most items sold to private parties or sold at auction. This severely limits the amount of public information on prices. That’s why the owners of the shop in “Pawn Stars” regularly have to call in specialists to determine the true values of old guns and clocks. If you do not have access to such a stable of experts, you could face great danger when it comes time to sell your item(s). Players in the collectibles market also have no idea how many bidders they can get for their items that are sold at auction, thus limiting the fluidity of the market and leading to huge fluctuations of price from year to year and even region to region. The IRS considers collectibles as collectibles, not as a long term investment, and it taxes appropriately. Collectible taxes are 28%, not the 15% levied on capital gains. If you hold the collectible for less than a year, you pay normal income tax on it, which could range as high as 35%. This IRS statute covers works of art, rugs and antiques, metals and gems, stamps and coins, alcoholic beverages and any other specified personal property. In conclusion, most advisors tell collectors to do it for fun, not for a long term investment. The collectibles market is simply too high risk and volatile to be called a sound investment strategy. If you buy the next hyped toy at the right time, you could make a lot of money, just don’t be surprised if it is almost worthless a few months later.